2012 Venus Transit and Annular Eclipse | Analyze the Data not the Drivel. 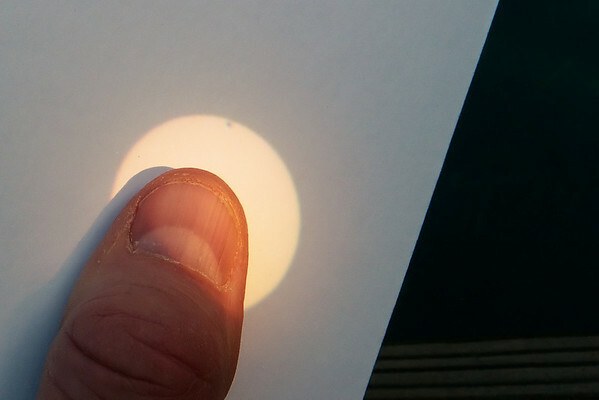 This entry was posted in Astronomy, Diary and tagged 2012 transit of Venus, annular eclipse, solar eclipse, transit of Venus, Venus by John Baker. Bookmark the permalink. Thanks for your advice. The last annular eclipse I saw was in 1994 and the Sun was high in the sky. I watched with a crowd in downtown Syracuse New York and most people were amazed at how bright the Sun remained even with the moon forming a perfect bulls-eye on it. This effect was even more dramatic on a total solar eclipse in Zambia. The sky and ground remained well illuminated with only a tiny portion of the Sun’s disc exposed. When the moon covered the last tiny sliver of Sun it was like turning off a room light. The corona burst forth, the purest white imaginable, and the sky instantly turned into a deep dusk. I’ll try my best to get some decent shots. There are dramatic river canyons near Page. With a little luck I might be able to work in a neat foreground but you are right that I will have to resort to “tricks” to get a properly exposed Sun and landscape. Neat idea. It would have never occurred to me to try something like this. I might just give your method a shot. Lesser artists borrow great artists steal! Pingback: Playing the Blog hit game « Analyze the Data not the Drivel.